i hope you are all having a cozy day and enjoying fall at it's finest! 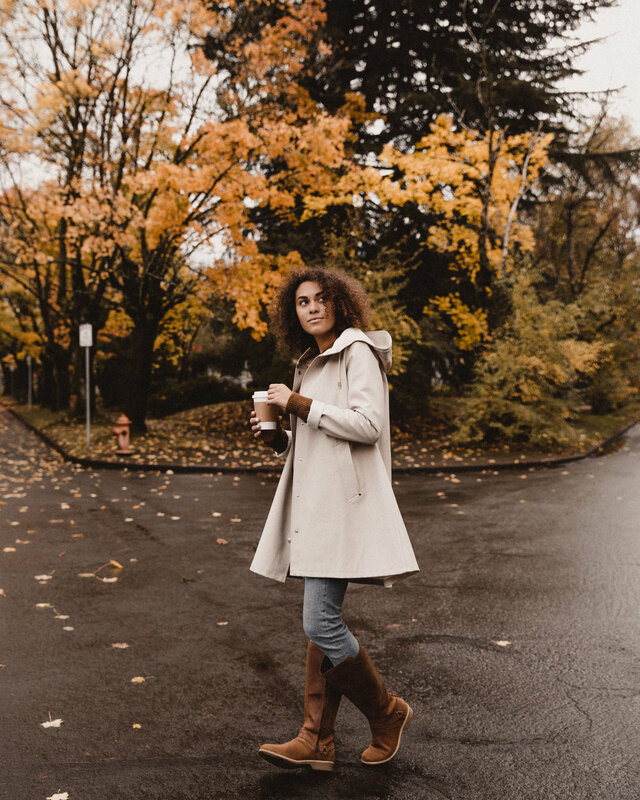 this weekend Teva asked me to style their new De La Vina Dos Tall boots and share how i incorporate them into my daily fall look. since it's a bit rainy here in portlandia, these boots work perfectly, being that they are super tall and waterproof (no wet socks here)! i love that they can handle the tough weather, but are still super cute and can be styled up for a day out on the town. for this outfit, i paired them with denim, a cozy knit sweater, and my favorite raincoat. couldn't ask for a better boot for coffee shop hangs & wandering the tree lined streets! i also answered some questions over on their blog about my fall fashion taste, which you can read here! that's all for now! stay comfy, stay cozy.